What can your support do? $25 could help the American Cancer Society provide free access to 24-hour information and support for one person with a cancer diagnosis. This past January, the American Cancer Society opened the doors to a new Hope Lodge in Omaha! More than 10,500 nights of free lodging will be provided to patients traveling away from home for treatment this year. Looks like a fun time! For more information check out the event on Exit 442’s Facebook page. This fundraiser is all about “fun” and raising awareness for the American Cancer Society. I am personally a participant and passionate about finding a cure. My father has experienced cancer and I know how this disease impacts many people and families. Have your craft beer personality assessment done in just a few short questions. Thanks for asking! I’ve joined the American Cancer Society’s NovemBEARD campaign to help save lives from cancer. This month I’ll be growing my beard to show my support and raise awareness for this important cause. In addition to growing a beard and raising awareness about cancer, I’ve committed to raising funds to help the American Cancer Society save more lives from the disease. Every dollar that I raise supports the Society and their work to save lives from cancer. I’d love your support! My goal is raise $1,000. The American Cancer Society is determined to ensure that no one touched by cancer walks alone. They are committed to helping those currently dealing with a cancer diagnosis, those who may face a future diagnosis, and those who may avoid a diagnosis altogether thanks to education and prevention. Every dollar raised helps the American Cancer Society save lives from cancer through early detection and prevention, innovative cancer research, and patient support. They are currently funding more than $100 million in breast cancer research grants nationwide. They also provide free, comprehensive information and support to those touched by cancer when and where they need it. And, the American Cancer Society helps people take steps to reduce their cancer risk or find it early when it’s most treatable. You can support my NovemBEARD efforts by attending this event and donating. If you can make the event, you can visit my page to make a donation or by sharing one of my social media posts as I work to raise awareness and funds. Thanks in advance for your support! I had a great time last year at this event! Great cause and venue - check our www.leadupne.org for more information. Joe Java-Stout is a local craft beer blogger who has taken his first year of stories and turned them into a book. The stories are about Nebraska craft beer breweries. 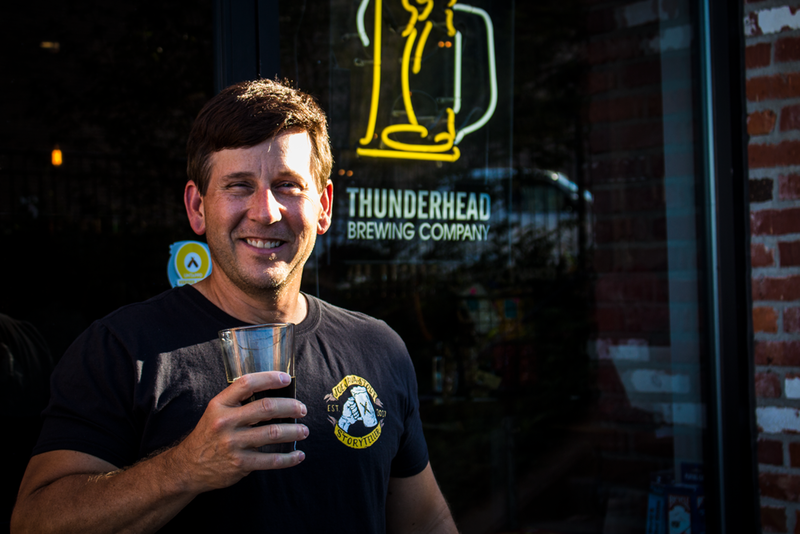 Joe is a fun, quirky guy who really enjoys Thunderhead Brewing craft beers including one of his favorite the Calico Espresso Stout Lots of other stories included in the book that will be for sale in paperback and hard cover. Hope to see you there! Cheers! 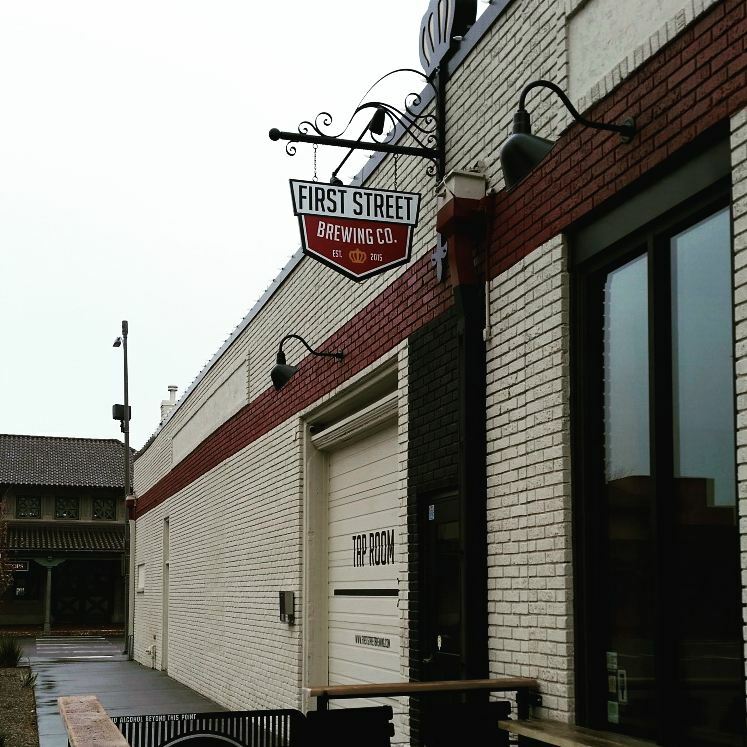 Joe is honored to be able to help celebrate the 2nd birthday of First Street Brewing. There will be books, shirts, maps for sale and a couple of giveaways. I bet there might be a few good stories also! Joe Java-Stout is a local craft beer blogger who has taken his first year of stories and turned them into a book. The stories are about Nebraska craft beer breweries. Joe is a fun, quirky guy who really enjoys Thunderhead Brewing craft beers including one of his favorites the Calico Espresso Stout Lots of other stories included in the book that will be for sale in paperback and hard cover. Hope to see you there! Cheers! The Local welcomes Joe Java-Stout for our first ever Meet the Blogger event! His mission in life is to search and find the great stories that are at great craft breweries. He enjoys meeting the passionate people that are brewing some amazing beers. Where there is a story, his pencil is not too far behind. He is a great representative for Nebraska craft beer and we are thrilled to share his journey with you. We will be offering a flight of 5 beers from some of the Nebraska breweries Joe has visited and written about through his blogs for only $10. He has also written a book 'Year One of Beer Blogging' where he takes you through visiting breweries from all across the state. He will have copies available for purchase as well as a few give-aways. Join us for a relaxing Saturday afternoon with good beer and great company! My first year of blogging has now turned into a book. See the stories about the Nebraska Breweries that you may or may not have ever heard of. Go behind the scenes as Joe shows you his Craft Beer Journey. Infusion Brewing is partnering with Scare Away Cancer for the second straight year for their summer fundraiser where you can choose between four locally brewed craft beers from Infusion Brewing Company. Best of all -- you will be drinking right where the beer was made. Infusion Brewing Company is doing a tribute to Metz Brewery with the its release of the Metz Jubilee Beer. Metz Brewery is know in Omaha history for being one of the Big 4 breweries. In talking with my dad, he remembers having a Metz beer just prior to the brewery closure. At the time he was a bartender at a small town bar in which Metz was the owner's favorite. In 1880 the Metz Brewery was located at 1717 South 3rd Street, and was producing 12,400 barrels (1,970 m3) per year. Later the facility moved to 209 Hickory Street into the former Willow Springs Distilling Company facility. Considered to be modern for the time, the facilities sat on an entire city block. Early brewing equipment included three cooling vaults, two of which were twenty feet wide by seventy-five feet long, and one smaller, being twenty feet wide by thirty in length. The ice rooms immediately above were of the same dimensions. The mash tub and brewing kettle each had a capacity for holding one hundred barrels. Barns for the delivery horses were also located on site. The brewery was said to have "no equal in the country." The Metz brothers also ran the Metz Brothers Beer Hall, located on 510 South Tenth Street, where beer was supplied in barrels by horse-drawn cart from the main brewery. Check out the great Metz memorabilia that owner Bill Baburek has as well as many other amazing photos from the Omaha World Herald. So much work goes into planning a brewery - part of the journey is knowing you have a partner to take you through any legal questions. Woods & Aitken LLP is hosting a legal conference on Wednesday, March 14, 2018 from 8:00 am - noon in Lincoln, Nebraska for the benefit of start-up and established breweries alike. It will be in a small group format allowing for plenty of opportunity for questions and answers. This is ideal for any owners, managers, or human resource personnel to attend. Woods & Aitken LLP are proud supporters of the Nebraska Craft Brewers Guild! I as at the 2018 Annual Nebraska Growers and Brewers Conference in January where Kaylen Akert of Woods & Aitken LLP gave a great presentation on many topics from liability to distribution to intellectual property. I learned so much in a 1 hour session! If you are a considering opening a brewery or just need to know more about the following, then this is the conference for you! Good people talking about important topics to help keep Nebraska Craft Beer Breweries successful in their daily operations! The Local Beer, Patio, and Kitchen in Millard is hosting a meet the brewer event with Lazy Horse Brewing Company! Jim will be available to talk you through the beer, talk about Lazy Horse and why they love doing what they do. This is one Meet the Brewer you won't want miss! How do you Say Freakin Good time in German? On of my favorite ways to spend the first Friday of the month is in Benson. On Friday, March 2nd starting at 6:00 pm. at Bärchen in Benson, you will have not only the opportunity to have some of the best German, Belgian, and American craft beer, but you also a chance to see one of the best letter and graphic artists in the Midwest. Paul Meyer has a new art show called Letters & Words. Come see some amazing work and get to know the artist who has many different talents and also just a great guy to know! Have a pint or two and bring your friends. This could be one of the best shows of 2018 and you wouldn't want to miss it. From Barchen Facebook Page - what an amazing pub! Check out this insane beer list. Cheers! Another great Meet the Brewer event at the Local Beer, Patio and Kitchen in Millard. Brian Hoesing, head brewer from 5168 Brewing (the Local's sister Brewery!!) will be the one everyone is looking forward to meet during Omaha Beer Week! Be sure make plans to be at Local on Sunday Feb. 25th from 4:00 to 7:00 pm, as Brian will be there taking us through all of the great beers he brews in Lincoln. 5168 Brewing is a fairly new brewery, so this is a great chance to come out and see what they've been up to these past few weeks! The Midwest’s most extreme beer event! The 12th Annual Extreme presented by Beertopia on Saturday, February 24, 2018 at Ralston Arena for one of the largest beer events in Omaha. Extreme runs from 3 - 7 pm (VIP entrance at 2 pm) and a free shuttle from the Crescent Moon to Ralston Arena will run constantly 1-8pm. Extreme is an event with over 300 beers, brewery reps on site, and some of the most extreme beers available – many of 7% ABV. Tickets on sale now in Beertopia and online at Etix.com. General Admission: $38 in advance & $43 day of (if available) Includes a glass and program. VIP Tickets: (SOLD OUT) Includes early entrance at 2pm with special releases during the VIP hour, special VIP glass, program, swag bag, and a food voucher to use at Ralston Arena during the event. Rahr & Sons Brewing Co. will be hosing a seminar during the event. Join Rahr & Sons Lead Scientist Nick Bigham for his Hops on Hops on Hops seminar. Seating will be limited and on a first some basis. The seminar will be held in the reception hall at Ralston Arena, time tba. Four beers and four cookies will be included in the price of the ticket. Each ticket holder will receive four (4 oz pours) and four tea sized Eileen's Cookies. Ticket holder can arrive anytime between 3 pm - 10 pm on Tuesday Feb 20 to redeem ticket. Sales end on Feb 15 at 6 PM, so you better get your tickets now before it is too late! You have to be curious as to what Eileen's Cookie will be paired with an incredible beer like Fairy Nectar! From the Infusion Brewing Co. newsletter. Barrel Aged Imperial Dominican Brown Ale have a 9.3% ABV and 30 IBUs. For those of use that love the Dominican Brown Ale and all of its flavor, the 15th of February will be a special day! Infusion Brewing will be tapping their Barrel Aged Imperial Dominican Brown Ale. A new twist on an amazing brew. Infusion Brewing nearly doubled the grail bill of the Dominican Brown Ale and aged it over 6 months in Templeton Rye Whiskey barrels. The Dominican coffee, vanilla, and chocolate so smooth and good add in the oakiness of the barrel and you have a new #1 on your beer list to try! Mark your calendars! 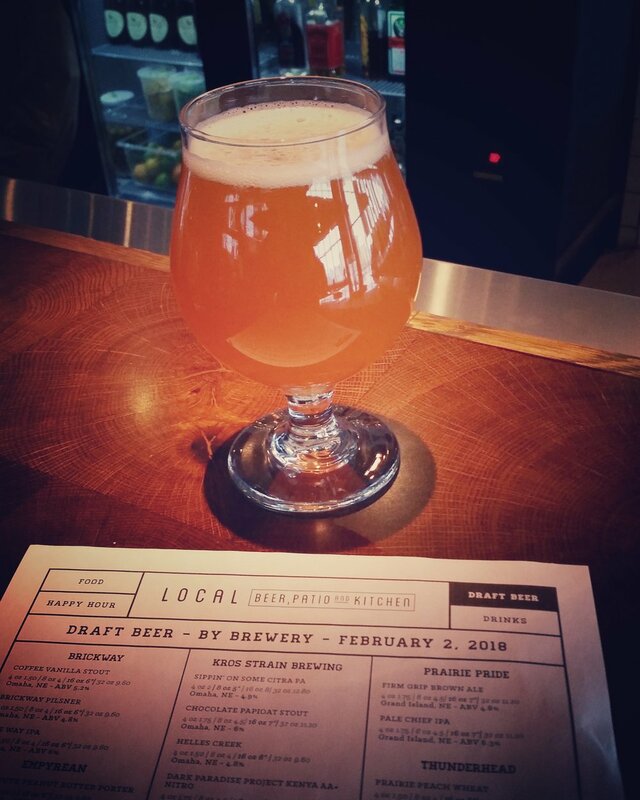 Local is hosting another Meet the Brewer with Scratchtown Brewing Company! Join us for another fun-filled Sunday with the owner and head brewer, Mike Klimek! He will be here, taking us on a flight of 5 of the amazing beers Scratchtown brews in Ord, NE! We will again be holding a raffle that is included in the purchase of your ticket. You will also get to take home a Local beer globe to add to your collection! After the event, you are invited to Pint Night; where your pints are half off! All of this Sunday fun for just $10! Grab your family and friends and join us for another great Meet the Brewer! Don't miss out on the Sandhill's Finest brews! Let’s shake off the winter blues and party with a Mardi Gras-themed bash! We’ve got more fun that you can shake a beignet at, including free specialty glassware for the first 300 partners through the door. Come enjoy any of your favorite Lucky Bucket beers for $4 and Cut Spike hurricanes for $4 to really get the voodoo going. Don’t forget to stick around for giveaways of some amazing Lucky Bucket and Cut Spike prizes throughout the night. Our friends from Pizza West will be around slinging their amazing pizza and we’ll have some great music to help laissez les bon temps roulez! There is NO COVER for this event, so make sure you’ve got your beads ready for February 9th! For latest information on the event, check out the Lucky Bucket Facebook Page.